Happy Monday! The sun is shining...the grass is green...it's like I woke up in a Disney movie today! 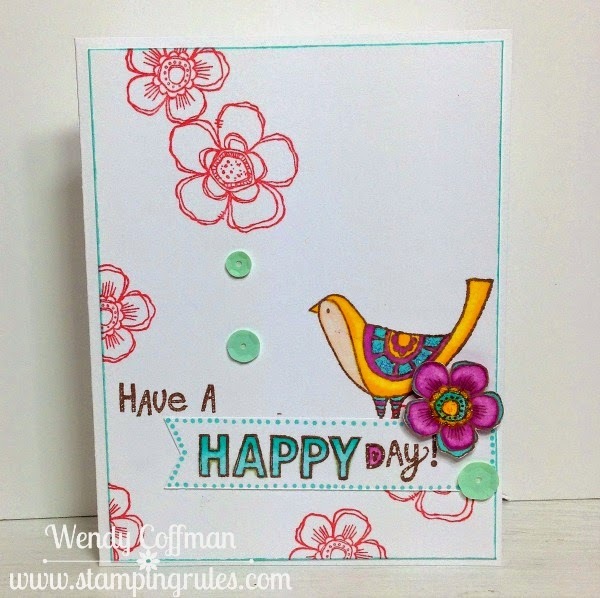 In honor of Springtime actually being here, I've got a bright and cheerful happy day card for you. I loosely based my card on the CASE this Sketch #120. I went a little out of the bounds with my flower background behind the birdie. I hope you'll forgive me. Must be the sunshine! Update: Check out this card by Lilian YF. She made this months before I made mine - freaky, right? I couldn't find it in my pins, but I pin a lot of stuff, so maybe I saw it somewhere and filed the inspiration away until I finally got around to using this set? In any case, she's got a fab use for that feather image in this set, so go check her super cute blog out! I colored the focal flower and bird with my Shin Han markers. Have you seen my quick tip infographic on alcohol marker blending? I use a lot of blender pen when working on these guys, I also used the bullet tip of my marker to add that dotty outline to the sentiment! Hope you have a fabulous HAPPY day! Oh, my! You have to see my card from last year! I based on CASE Study #200, though! 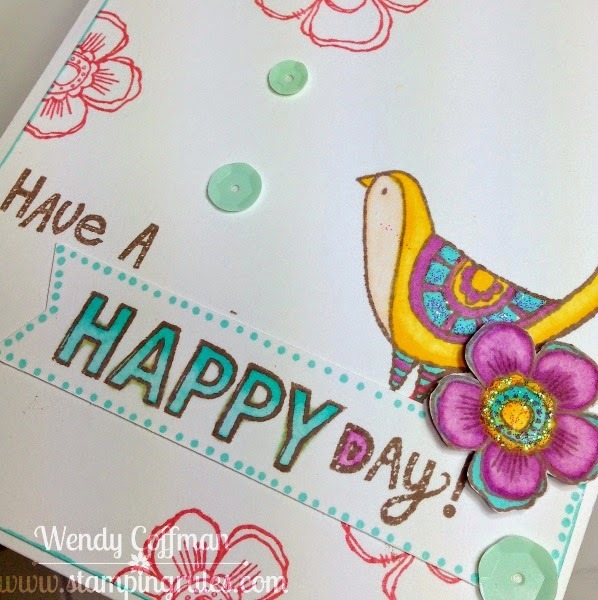 What a fun, happy card Wendy and you have sent me away with a smile on my face!